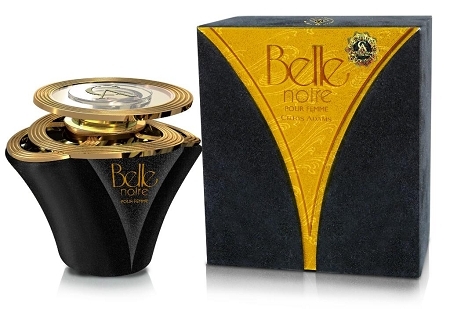 Belle Noir - Pour Femme A dark and luscious rose lends itself to this mysterious scent of ylang-ylang and tuberose. A dash of orchid entices the senses, and a vanilla and musk add to the sensuality. The flacon is coated in a luxurious black velvet and embellished with rose gold.